The JRAAS Porto are making their training programme available to the whole academic community. Our training sessions taught by professors and specialists aim to give students and young researchers the necessary tools to conduct research. The programme will consist of more than 10 sessions taught within a bimonthly interval. It will contain training sessions on revision and editing of texts, writing scientific papers, organizing events, and more. 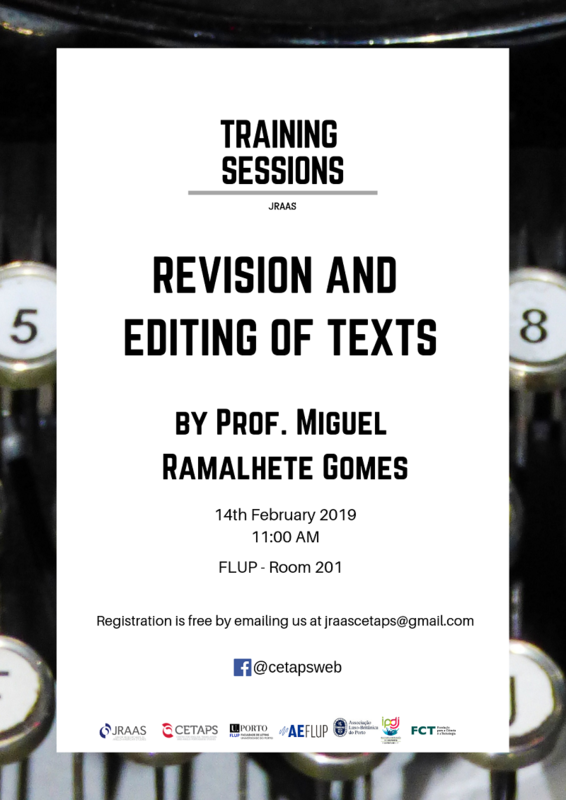 The first training session will be on 'Revision and Editing of Texts' by Prof. Miguel Ramalhete Gomes, next Tuesday February 14 at 11 am, in room 201 at FLUP.